This article has been republished for exclusive use by The Grey Muzzle Organization with the permission of original author, Jenny Spiers. Caring for older dogs requires special attention to any of their existing healthcare conditions, but most especially on their nutrition. Senior dogs require a slightly different kind of nutrition for the simple fact that the physiologic process of aging has already caught up with them. No longer are they as optimally healthy as when they were much younger. As such they will not really be eating as much as they used to. For many, it would seem as if they’ve lost interest in their favorite food. Your understanding of the correct food for senior dogs will help you tailor-fit your care for them a lot better. Senior dogs are no longer as active as they used to be. They can still play catch with you, but only rather briefly. More often than not, you will see your senior dog lazing or relaxing in its favorite nook, only bothering to stand up when it’s time to feed or perhaps even wait for you to bring its food over. Sometimes your elderly dog may also be suffering from joint problems, making movement exceptionally difficult if not downright painful. What do all of these mean anyway? Your elderly dog’s activity levels have substantially decreased over the years. A reduction in physical activity requires a commensurate reduction in calorie intake; otherwise, you risk turning your older dog into an obese hound which can exacerbate other health conditions it may already be experiencing. Experts recommend reducing calorie intake among elderly pooches by as much as 20 percent. Other recommendations include giving L-carnitine for increased utilization of stored fat for energy. Sadly, it’s not that simple. Elderly dogs also stop gaining weight. Reducing their calorie intake will make them lose weight even more, leading to malnutrition. As such, some experts recommend increased fat and calorie content. 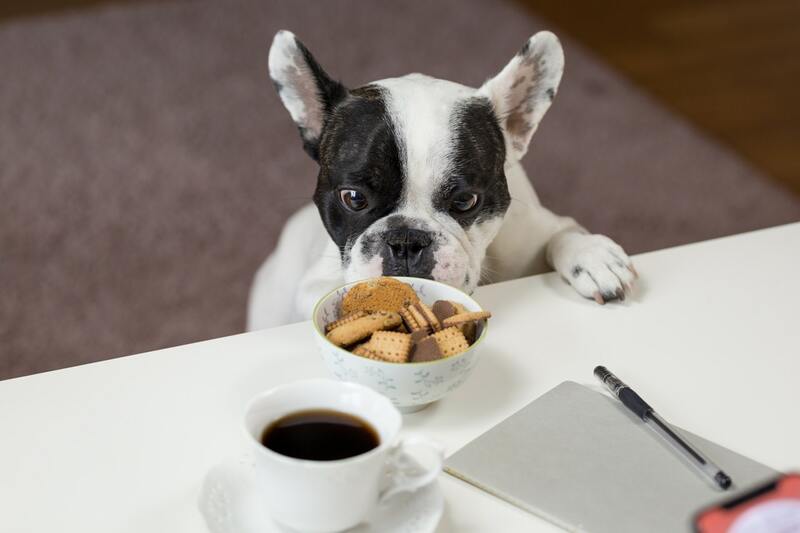 Our suggestion is for your vet to make an individual assessment of your senior dog so you’ll know just how many calories it needs to consume. In the past, elderly dogs were given foods with lower protein content in the belief that too much protein can be dangerous to their kidneys. However, recent studies indicate that senior dogs can actually benefit from high-protein diet since protein is not only important in maintaining muscle tissues, it is also critical in ensuring an optimally-functioning immune system. This helps senior pooches better manage stress, infectious agents, and even trauma. The current recommendation is for elderly pooches to receive a minimum of 50% more protein to what it used to receive. As such, if your pooch was receiving 100 grams of protein in the past, it should now be getting 150 grams of protein at the very least. There’s a debate on whether to give fiber-rich dog foods or not in elderly pooches. Fiber in the diet can help pooches that are constipated as well as those that may have problems regulating their glucose levels. However, fiber can also interfere with the more efficient absorption of essential nutrients from the digestive tract. On one side of the debate is your dog not getting the nutrients it needs to maintain optimum health especially with advancing age. On the other side of the coin is an efficient way of moving bowels and regulating glucose levels. Your veterinarian should be able to help you identify which nutrition is best for your aging pet. Caring for an elderly dog presents a lot of challenges especially when making the correct choice related to its nutrition. The scientific community is actually divided on what constitutes a universally-healthy senior diet. The sad fact is there’s no such thing as universal. What we have is nutrition that should be tailor-made to your senior dog. Jenny Spiers is a blogger and head editor of MyPetNeedsThat.com, an online platform created and run by pet-loving individuals with the sole purpose of providing both newbie and seasoned pet owners with exceptional products, tips and pieces of advice that will help them better care for their respective pets.